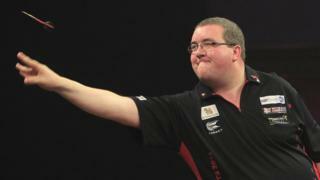 Speaking to BBC Sport, Stephen Bunting looks back at a memorable 2014, which began with him lifting the BDO World Championship and ends with him hoping to win the PDC version of the world title. The 29-year-old from St Helens switched to the PDC circuit less than two weeks after beating Alan Norris in the final at Lakeside. Since then, Bunting has enjoyed a rapid rise into the top 32 in the PDC Order of Merit and he has regularly competed in the latter stages of major televised tournaments.